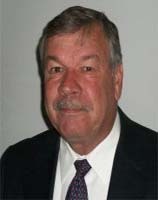 Ken joined Pyramid Brokerage Company in 1988 after an 18-year career in contract furniture sales. Ken’s primary focus is in Office leasing and sales. To date he has completed over 290 transactions and 1.3 Million Square Feet with a leasing/sales volume of over $54.8 Million. Ken has provided Asset Leasing Support for Davpart Rochester LP, a Canadian REIT Corporation, since 2005 and completed over 130 transactions at this property alone. Some of Ken’s notable clients include: MCI Communications/Sprint Spectrum, GTE, Verizon, Extel, Travelers Insurance Company, State Insurance Fund, Arthur Anderson & Co., Choice One Communications (now Earthlink) (multiple), Tenneco Packaging, EMC Corporation, IKON Office Solutions, Jay Advertising, Price Waterhouse Coopers and McCann Erickson.